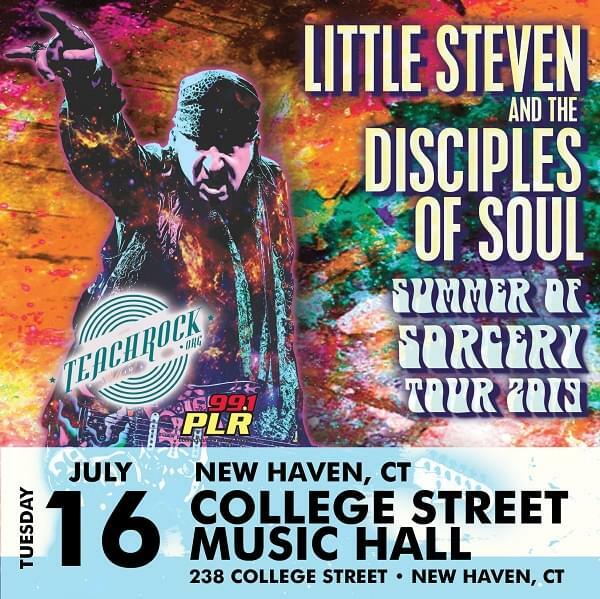 99.1 PLR presents Little Steven and The Disciples of Soul at New Haven’s College Street Music Hall on Tuesday July 16th. Tickets on sale at www.collegestreetmusichall.com. Your browser does not support iframes. Please visit http://digitalivy.com/7XJLHH.